Game description: It's a whole new ballgame! Major League Baseball 2K7 redefines the pure baseball video game experience with true, Next-Gen details, all-new throwing mechanics and a revolutionary presentation system. 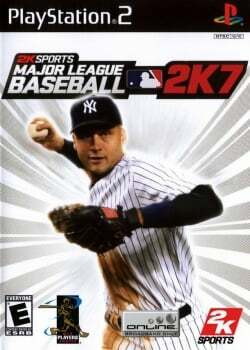 Featuring stunning, lifelike player models, Signature Style animations, Inside Edge data and more, Major League Baseball 2K7 delivers the most authentic baseball action to date.